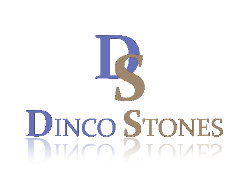 Dinco Stones is one of the leading processor and exporter of vast and exquisite range of Granites, Slates, Sandstones, Marbles, Mosaics etc. from India catering to the needs of customers all over the world. Dinco Stones is one of the trader and exporter of vast and exquisite range of Granites, Slates, Sandstones, Marbles, and Mosaics etc. from India catering to the needs of customers all over the world. We have more than ten manufacturing associates spreading all over leading natural stone producing cities in India and each having an average capacity of more than 50,000 Sq. Meter per annum in state of art plants equipped with the latest automated machines. We have the requisite competency and capacity to supply as per specifications and in large quantities to various construction projects in any part of the world. The product range of Dinco Stones includes random and customized slabs, tiles and various value added products of granites, sandstones, slates, marbles, etc. in all colors and all gang sawn, cutter, calibrated, natural sizes in polished, flamed, antique, honed, sandblasted natural or other finishes. Further, we also provide all natural stones as Mosaics in various patterns and sizes, Stacked, Borders, Tiles etc. We have established tie-ups with the local suppliers either the quarry owners or the processors who can supply us all types of Natural stones in different forms and patterns (as required by us) and at a reasonable price. These suppliers are those who have a great capability as a manufacturer but struggles in marketing their products as it is or by slightly changing the form of Natural stones as Mosaics/Tiles/Stacked/Borders. We can also make any custom made design for any natural stone through these tie-ups if the design is not in our product list.